Rejoice, Nephalem, because Patch 2.0.1 is here! Huzzah! There were many, many, many things that were added and changed in Patch 2.0.1. 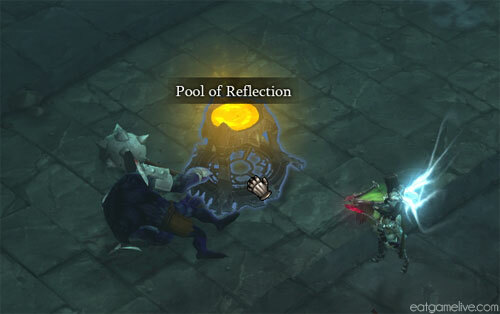 One of the shinier changes was the addition of a new brand of object to the map — the Pool of Reflection. The Pool of Reflection will give you an added bonus pool of EXP that will last until you DIE! So try not to die, or all that glorious additional EXP goes to waste. Noooo. I have died several times while holding bonus EXP, and each time was much more painful than the last. I should probably stop standing in front of Demon Forges. Hmmm. Every time I approach a Pool of Reflection, I always wonder what the pool would taste like when consumed. Would it be earthy? Would it be garlicy? When your hero drinks it, do they ever ponder what wine would pair best with it? 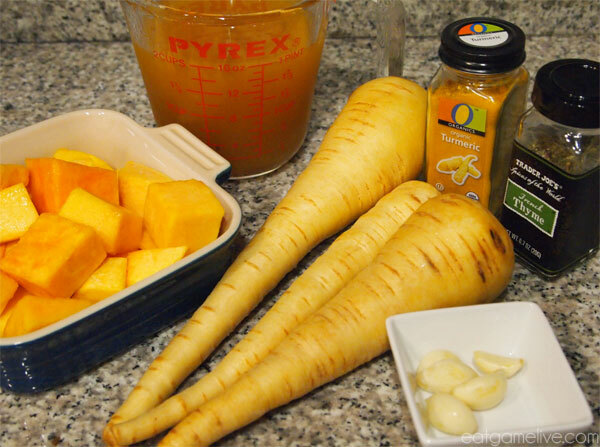 Well, I think I’ve figured out what the Pool of Reflection could taste like… Parsnips and turmeric! This healthy vegetarian dish will keep you alert for your many, many Diablo adventures! You can make this dish vegan too! Prep time will take about 20 minutes. Cook time is roughly 1 hour. This will make 6-8 servings. Place your parsnips, garlic, and butternut squash in a baking dish (you can make a tiny dish out of tin foil like I did). Season your vegetables with salt, pepper, and thyme. 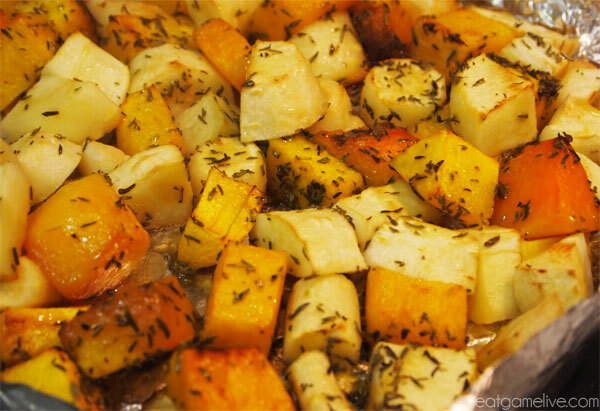 Roast for 45 – 50 minutes in the oven, or until the vegetables have become soft. Transfer your vegetables to a pot. 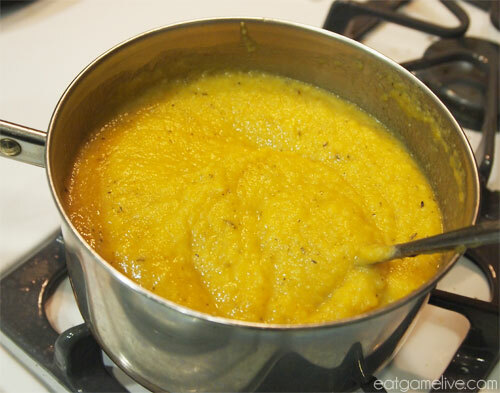 Using a stand mixer, blend the vegetables until smooth. Slowly add in half of vegetable broth in order to make blending easier. Once your vegetables have become a smooth paste, place the pot over medium heat. Add in your turmeric and stir to combine. Add in your remaining vegetable broth and stir until smooth. Add salt and pepper to taste. 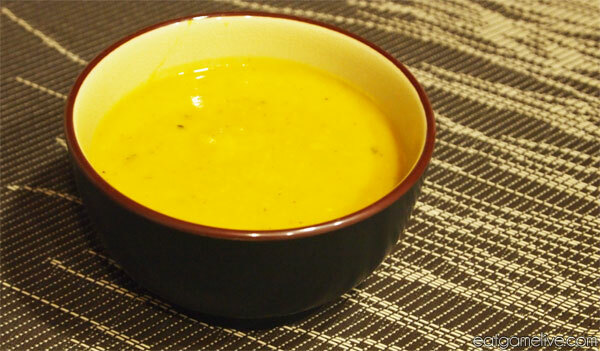 It’s been very cold recently, so this soup is perfect for warming you up during the chilly winter months. Cozy up, drink some soup, and gain some EXP! This entry was posted in diablo, soup, vegetarian by admin. Bookmark the permalink.